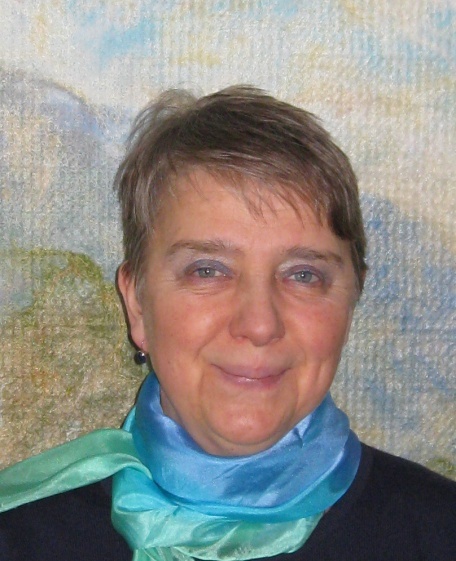 Beatrice Birch, Inner Fire founder and Board President, has worked as a Hauschka Artistic therapist for more than 30 years in integrative clinics and inspiring initiatives in England, Holland and the USA where the whole human being of body, soul and spirit was recognized and embraced in the healing process. She has lectured and taught as far afield as Taiwan. Her passionate belief in both the creative spirit within everyone and the importance of choice, along with her love and interest in the human being has taken her also into prisons where she has volunteered for many years offering soul support through Alternatives to Violence work and watercolor painting. Tom Kavet, Inner Fire Board Treasurer, is President of Kavet, Rockler & Associates, LLC, an economic and public policy consulting firm (www.kavetrockler.com). For the past 19 years, Tom has been the State Economist and Principal Economic Advisor to the Vermont Legislature, where his firm provides economic forecasting and related analytic services. Prior to starting KRA in 1989, Tom was a Vice President at DRI/McGraw-Hill, the nation’s largest economic consulting firm, where he started and led the construction and real estate forecasting group. In addition to many non-profit and community boards, Tom is a member of the Policy Advisory Board of the Federal Reserve Bank of Boston. Laurie Rabut, Inner Fire Board Secretary, is an accomplished musician and teacher. After graduating from the Boston University School of Fine and Applied Arts, she began a career teaching, composing and performing. Having taught music in the Amherst, MA public schools for 32 years, Laurie has also performed early music with numerous ensembles in the New York and New England region and currently coaches ensembles for the Five College Early Music Program in Amherst MA. 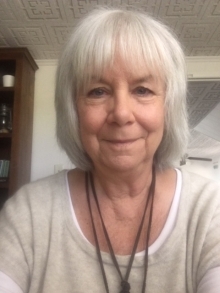 Laurie is an active student and practitioner of mindfulness, holds a graduate certificate in Mindfulness in Education, and is a certified .b mindfulness teacher. Her studies with Anishinaabe elders from northern Canada have been a deep and rich part of Laurie’s personal journey, and these experiences and teachings have further deepened her connection with, and respect for, the earth and all beings that inhabit her. Laurie’s mindfulness practice and her work with indigenous elders have served to deepen her belief in the resilient nature of the human spirit in the most difficult of circumstances. 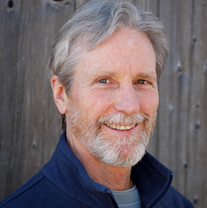 James Pewtherer has worked as an educator in Waldorf education for over 40 years, teaching children, young people and adults. He has been an active leader in this school movement, both nationally and internationally since the early 1980’s, working continually to develop curriculum, approaches to teaching, and organizational forms that will address the whole human being in a healthy way. His interest in the work of Inner Fire grows out of this active involvement with and study of human development and education. The effectiveness of the approaches used at Inner Fire through the co-working of guides and seekers is extraordinarily promising. This work, which has already allowed some Inner Fire seekers to throw off their dependency on psychotropic drugs, is an indication of what would be possible for so many more people struggling to regain control of their lives. It is in light of this need that he wants to help Inner Fire to share its findings, approaches and methods with mental health professionals and government health officials so that this work can be shared and financially supported. The health-giving activities practiced at Inner Fire offer real hope at a time when pharmaceutical solutions have fallen so far short of what is needed to help individuals become their healthy selves once again. Bob has worked in community development for nearly 30 years. He is primarily experienced in developing multi-family and senior housing, using federal and state grant funding, bank financing, and Low-Income Housing Tax Credit equity to help create 700 units of affordable housing. He was founding Executive Director of Valley Cares and oversaw the development of West River Valley Senior Housing project in Townshend, which was named Best New Senior Housing Project in the Nation by the National Low-Income Housing Tax Credit Coalition in 2008. 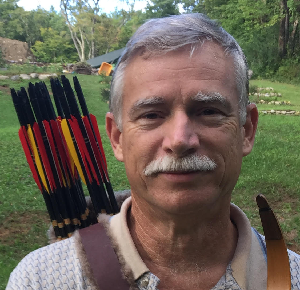 Bob has also worked as a development consultant to nonprofits in Vermont, performing strategic and business planning, financial feasibility studies, market assessments, grant writing, program development, and project and finance management. In addition to housing, he has worked with organizations and businesses involved in health care, health education, the arts, alcohol, tobacco, and drug abuse prevention, and mental health programming. Raphael Rosner received his BA in Applied History from Carnegie Mellon University and his Master of Architecture degree from Rensselaer Polytechnic Institute. 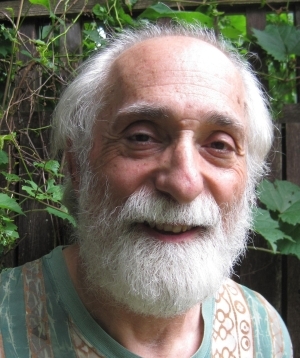 Raph’s lifelong interest in earthen architecture and biophilic design led him to study and work with Rumi scholar, architect and inventor of Super-adobe Nader Khalili. Lakota tradition has also been central to Raph’s personal practice for many years. This confluence of earth-based building and Native spiritual ceremony informs his commitment to intentional body/mind approaches to healing, enabling individual as well as collective transformation toward wholeness. 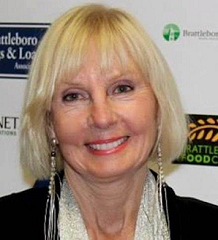 Lynn Barrett is founder and president of Primetime Concepts, Inc. and publisher of SO Vermont Arts & Living magazine. She is an award-winning communicator with over 25 years experience in media, marketing and public relations. As president of Primetime Concepts, Inc., she has an enviable track record in creating and executing literally hundreds of consumer brand campaigns, sponsorships, special events and cause-related programs for corporate clients such as Chase, Hyatt Resorts, American Society of Travel Agents (ASTA), Parker Brothers, The Home Service Store, the Manchester Designer Outlets, Historic Manchester, Southern Vermont; NEC, McDonald’s, Lincoln Life, Citicorp, Louis Vuitton, Golisano for Governor, among others. PTC’s non-profit clients have included the Ronald McDonald House, Camp to Belong, The Susan G. Koman Race for the Cure, High 5 Adventure Learning Center, Foundation Fighting Blindness, Rescue Inc., Strolling of the Heifers, Brattleboro Chamber of Commerce, Southern Vermont Regional Marketing Program, Susan G. Komen Race for the Cure, Brattleboro Retreat 175th Anniversary, Landmark Trust, The Nature Museum, New England Center for Circus Arts. She is expert in translating ideas and issues into “media-worthy” and social media-worthy stories and events. Her interest in Inner Fire is to assist a young, deserving non-profit that offers an alternative choice, develop their story and get it out to the world. 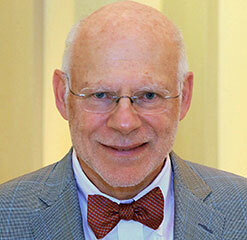 Julian Jonas has over 35 years of experience as a healthcare practitioner. He is a graduate of Cornell University with a degree in Asian languages and philosophy; graduate of the Meiji College of Oriental Medicine in Osaka, Japan; and a graduate of the New England School of Homeopathy and the North American Homeopathic Master Clinician Course. Julian maintains a private homeopathic practice, is active teaching and writing about natural healthcare, and volunteer activities. Over two centuries ago, the founder of homeopathy, Samuel Hahnemann, decried the harsh and suppressive treatment of the mentally ill that was the norm at the time not merely for its cruelty but also for its inefficacy. He recognized in homeopathy a gentle but powerful form of healing that promotes a return to health through invigoration of self-corrective vital energies inherent in each person. Thus, Julian was drawn to the mission of Inner Fire because it seeks to facilitate for each participant a return to a state of well being and productivity through the engagement of his or her spiritual, mental and physical being. Free of the suppressive and often harsh therapies that are the norm in our day, it is the perfect environment to support and maximize homeopathic treatment. Julian is excited and truly grateful to have the opportunity to partner with the teachers, healers and, above all, the seekers who make Inner Fire such a unique endeavor. Zach Holmes joins Inner Fire as a forester and carpenter. He comes to us after 18 years as an outdoor educator, program coordinator and leader for a relationship-based holistic high school. 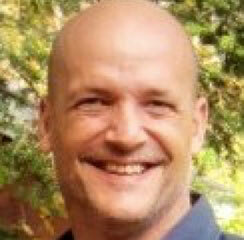 He is experienced in guiding individuals to challenge themselves in a safe and compassionate way. He uses eco-psychology, team building and mindfulness while teaching foraging, bush crafting, land stewardship and carpentry. Zach has studied Focusing and Nonviolent Communication with Wendy Webber and Beatrice Blake. He was taught native skills by Brian Robertshaw. I think that one of the greatest things going in my connection to Inner Fire and working with their seekers is the ability to connect seekers with the creative process. My craft involves basic elements to life – earth (iron), fire (forge) and water (for quenching the iron). 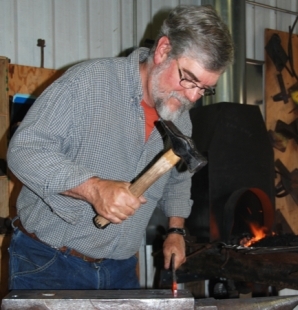 Utilizing basic blacksmithing skills, seekers have found the magic of transforming rigid and inanimate material into something that is entirely unique to them – they made it by their own hand – a rewarding experience not often found in today’s world. It is a privilege to share this experience with them. Audrie Brown, chef extraordinaire at Inner Fire, comes to us from Michigan, where she raised her family and taught children from early childhood through high school. When she was still a teenager, Audrie read Food is Your Best Medicine, by Dr. Henry Bieler, and there began a life-long exploration into the connection between diet and health. Beginning with vegetarianism, raw foods and Natural Hygiene, Audrie has experienced a wide array of approaches to nutrition over the years. The continuous thread running through these has been avoiding processed foods and sourcing the highest quality organics available. For many years she grew and canned much of her own produce. In the past decade, Audrie has focused her attention primarily on the specific relationship between digestive disorders and physical and mental health issues. Utilizing the GAPS (Gut and Psychology Syndrome) approach to nutritional healing of Dr. Natasha Campbell-McBride has been instrumental in helping her to understand how to provide nourishing and healing nutritional protocols for those suffering with both emotional and physical challenges. 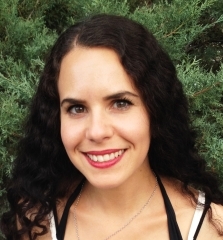 Audrie has a bachelor’s degree in Health Education from Central Michigan University, and certificates in Waldorf Education and Massage Therapy. She also has a Servsafe kitchen manager certificate. 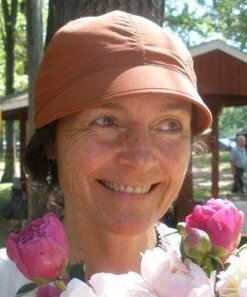 Marguerite Gadbois, Spacial Dynamics practitioner, brings several years experience in the realm of natural healing, early childhood education and love of movement to her work at Inner Fire. 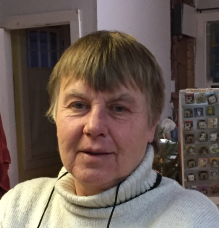 Before joining Inner Fire in August of 2015, Marguerite spent four years in various teaching capacities at the early childhood campus of the Monadnock Waldorf School in New Hampshire. During this time with young children, Marguerite began using the therapeutic techniques from Spacial Dynamics professionally with children experiencing development delay, “spectrum” qualities, and what is traditionally described as behavioral challenges. Through her work with children and her passion for the development of the “life body”, as well as a strong desire to be of service to humanity, Marguerite was eventually inspired to join Inner Fire. In addition to her love of all movement, Marguerite enjoys gardening, playing games, singing and playing the flute, and leaning into the places and spaces of acceptance, transformation, and joy. 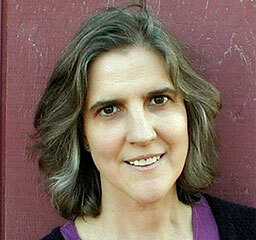 Teresa Savel provides liver compress therapy for Inner Fire’s Seekers. 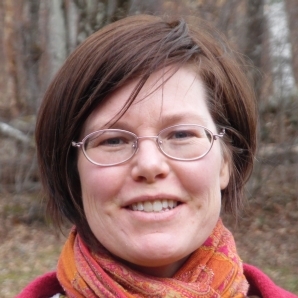 She is a licensed Vermont educator, an advocate for over 25 years for holistic educational approaches for the young child, and has worked in the field training teachers, parents, and caregivers in the US and abroad. Her educational approach supports and honors the individual development of each. Her practices incorporate rhythm, free movement, conscientious care, daily nature-based experiences, the arts (domestic and creative), and organic whole foods. 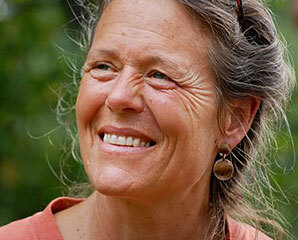 She founded Green Valley School in Southern Vermont, an outdoor-based Nursery-Kindergarten and elementary school. Teresa, born in Los Angeles, CA loves the daily challenge of living with her family on their off-grid homestead in Vermont. She is committed to supporting the seekers at Inner Fire in their unique and emerging journeys, particularly through the incorporation of structure and rhythm. 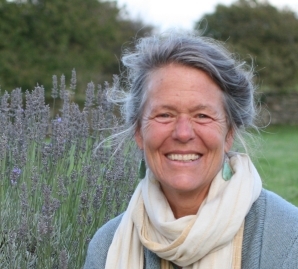 Beatrice Birch, Inner Fire founder and Hauschka Artistic Therapist, began her professional career as a teacher in an inner-city Waldorf School in Bristol, England in 1975. Deeply inspired by the healing aspects of Waldorf Education, she later completed a three-year medically based training in Hauschka Artistic Therapy in Gloucestershire, England. She has since worked as a therapist, lectured and consulted in multiple capacities over the past 35 years in the United States, England, Holland, and Taiwan. Beatrice has worked in her private practice, larger medical practices, and both public and private therapeutic residential communities with both adults and children struggling with a variety of psychiatric and physical conditions including cancer, heart disorders, asthma, addictions and other mental and “soul” health challenges. Beatrice has also worked in maximum-security prisons as a facilitator of the Alternatives to Violence Project (AVP) and guiding watercolor painting as part of an artistic therapy program she developed in a medium security prison. At Inner Fire, which she co-founded in 2012, Beatrice focuses on her work as a therapist and guide, in addition to overall program direction and development. Flynn Johnson received an M.A. in Philosophy in 1980 and then in 1992 an M.A. in Counseling Psychology from the Jungian-oriented Pacifica Graduate Institute. Upon graduating he worked for five years as a Psychological Counselor at Marlboro College. 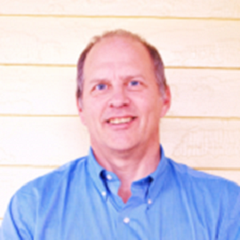 Currently, he is a Licensed Clinical Mental Health Counselor with a private practice in Brattleboro, VT. In addition, for over twenty years he was the founding director of The School of Natural Wonder, which offered Wilderness Vision Quests and other nature-based healing programs. Flynn also has a certificate from the four-year training program in body-centered psychotherapy at the Institute of Core Energetics; a certificate in Internal Family Systems; and a certificate in Shamanic Energy Healing from the Healing the Light Body School. His long-term meditation and yoga practice and his Buddhist studies inform his work and his life. He is the author of the books Journey to the Sacred Mountains: Awakening Your Soul in Nature and Initiation into Soul: Classic Stories of Inner Transformation. 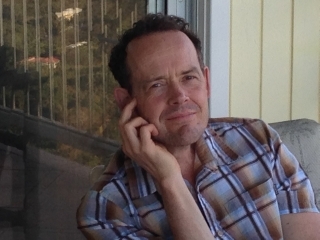 Flynn’s passion is to help people to negotiate challenging rites of passage and to connect more deeply with their soul and spirit, the creative aliveness they came into the world with. 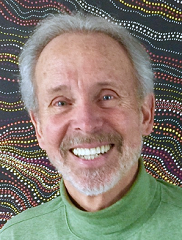 He is very excited to join the team at Inner Fire, because it has been a long-standing dream of his to be part of an alternative healing community dedicated to guiding people in their search for their true nature, beyond the wounds and mental constructs that have constricted their optimum health and well-being. 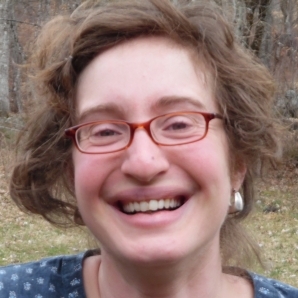 Elia Gilbert came to Inner Fire in October 2015, with a background in Waldorf early childhood education. She received her teacher training at the Alkion Program in Ghent, NY, and has taught in mixed-aged kindergartens for nine years. 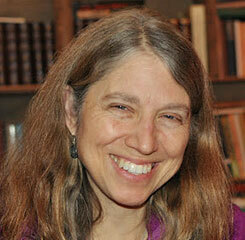 Currently she is the director and lead teacher for the Garland School in Brattleboro. She was drawn to Inner Fire to work with this community of people who are searching for healing and inner growth. One of the key aspects of Inner Fire for Elia is that while everyone must continue to engage in growth and inner challenge, there is also fundamental acceptance and respect, that makes the work here feel very human. Every week, Elia brings songs from various parts of the world to work on together. She also can be found at meal times, over the weekends, doing overnights, or doing practical outdoor work with the seekers. In 2006, Nettie Lane left her job as Education Director for LandPaths, an environmental non-profit, to devote herself to her true passion: Circus Arts. In 2008, she moved to Vermont to attend the Professional Track Training Program at the New England Center for Circus Arts where she focused on Trapeze and Duo Acrobatics. Nettie’s interest in theatrical clowning led her to study with Giovanni Fusetti, Paola Coletto and Aitor Basauri. Currently, the German wheel has captured her imagination and she has been training and collaborating with it ever since. Nettie has performed with Flynn Creek Circus, Zany Umbrella Circus, Art Farm-Circus for a Fragile Planet, New England Center for Circus Arts, Nimble Arts, Savvy Productions, Overhead Arts and the Payomet Performing Arts Center and Droplet Dance. Her festival appearances have included: Life is Good, Wanderlust, Clearwater’s Great Hudson River Revival, Petaluma Rivertown Revival, and the New York Clown Festival. In 2015, she assisted Giovanni Fusetti in the International Clown Training in Boulder, Colorado. Nettie has traveled extensively in the United States and Europe; she currently resides in Brattleboro, Vermont where she is on staff at the New England Center for Circus Arts, and works for Circus Smirkus as an Artist-in-Residence in schools throughout New England. 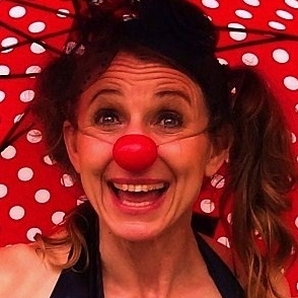 In 2013 Nettie began teaching theatrical clowning classes and since then has had the honor of midwifing over 80 clowns. She firmly believes in the power and humanity of the Sacred Fool as a way of excavating inner wisdom. 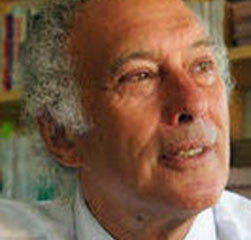 Alan Steinberg worked for a decade in early elementary education in N.Y.C. and Pittsfield, Ma; and as a potter for 49 years, 25 of them full time. 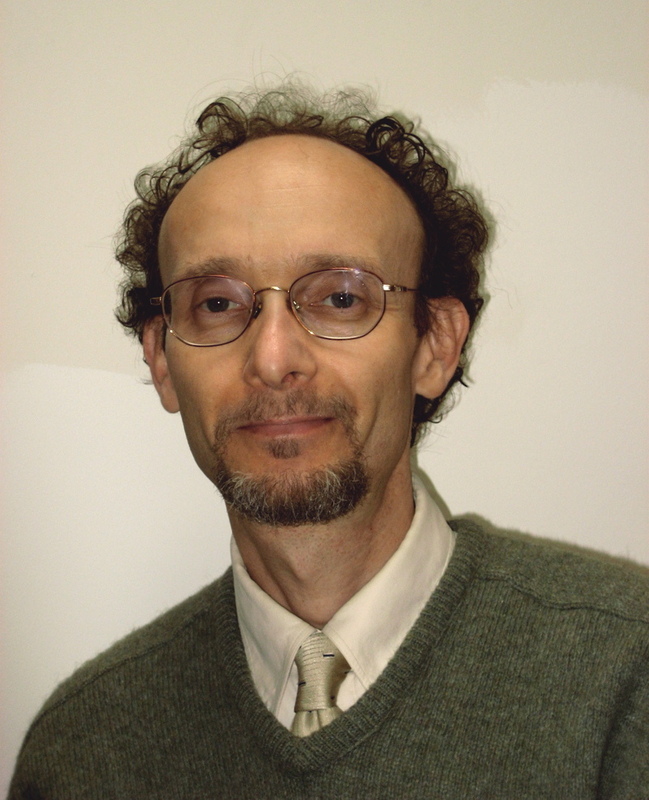 Trained in Psychosynthesis, Psychoneuroimmunology, Ecopsychology and Expressive Arts, he maintains a practice in Brattleboro, VT, working with couples and individuals. He teaches clay classes integrating skill building with spiritual expression, and leads clay workshops that respond to poetry, mythology, ritual, and nature. He feels drawn to Inner Fire because it shares his view that, as the seed holds the promise of the tree, we all hold within ourselves a natural capacity to grow, beyond whatever our present limitations may be. Laura Young serves as Inner Fire’s Office Manager. She returned to Vermont, her home state, after living and working in Central Florida for 20 years. With a Bachelor’s Degree in International studies, and over 18 years of non-profit administrative and assistant store management work, Laura has a deep interest in, and passion for, administratively supporting the work of natural therapies as a healing choice. She also enjoys studying and using herbs, natural supplements and therapies to detoxify and support the body for optimal health. She is passionate about the organizational role she is able to play in helping facilitate effective tapering processes and the empowerment of individuals to lead fulfilling and successful lives. Laura also enjoys hiking, walking, nature, family adventures and all of Vermont’s unique culture. Edel Byrne has worked with stained glass since 1990. She fully embraced the media while working in a 3 year apprenticeship with Christopher Pearson in Cape Cod Ma. In 1993, she opened her own studio to explore the creative possibilities with glass developing a style which lends itself to a freedom of expression in design. The process requires patience and focus from choosing colors, keeping in mind how they play off each other in the light, cutting the glass into desired shapes,laying out the pattern as one sees it and finally learning the skills to solder the pattern together. There is tremendous healing to be found in the creative process and Edel welcomes the opportunity to share her experience with the seekers and witness what each individual creates as each one transforms sheets of glass into a panel of their own vision. Mark comes to us with a B.S. in Nuclear Engineering Technology and from a career in nuclear energy where he held a senior reactor operator’s license and supervised the operators at the controls of a commercial nuclear reactor. Anthroposophical, Naturopathic Doctor, Scientist, Registered Nurse, Journalist/Writer, Teacher. Tamara is using integrative multimodal human- centered therapeutic approach based on a holistic understanding of man and nature and of disease and treatment. She applies an integrated image of the whole human being in illness and health, focusing on prevention, education and self care. Tamara believes in the “Inner Physician” and the self-healing potential of the body which, if properly supported, empowers an individual to achieve the highest level of health possible in given conditions. Illness is an opportunity for positive changes and with a new balance in life, one is drawn closer to its meaning and purpose. Anthroposophical remedies support the self-healing forces of the body and which work with the patient and not for the patient, they do not suppress symptoms but address the cause of the disease. Symptoms of disease are the manifestation of self-healing forces working to overcome the underlying condition, which is the illness. Tamara is drawn to working with seekers at Inner Fire because she believes in giving people the opportunity to be proactive. Being responsible for one’s own health, actions and healthy choices is the right of human beings. 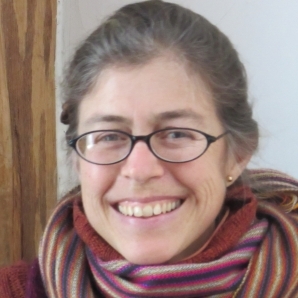 Tamara Potselueva has private practice in CT and serves as a school doctor in Housatonic Valley Waldorf School. 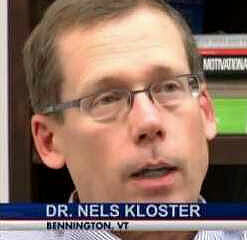 Nels Kloster, M.D. 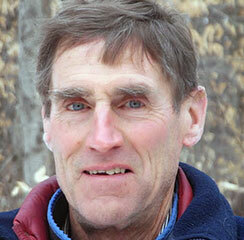 has been practicing psychiatry in VT for 10 years with a focus on community mental health. Over time he has seen the limitations of medications, as well as their detrimental physical and psychological impacts. With the sense that pharmaceuticals are used for too many people, and for too lengthy periods of time, he has joined Inner Fire in the hope of furthering more rational and person-centered approaches to wellness. It has been my privilege and good fortune to work with a diversity of people in various milieus – from inpatient and outpatient hospital programs to private homes and public housing. Psychiatric nursing called to me in 1987 and has been an extraordinary education ever since. In my early experience many treatment modalities were used in the hospital: psychodrama, art and music therapy, the challenge course and Reiki to name a few. Stays were much longer in those days. The effect of the milieu was equally as important as regulating psychotropic medications. Community meeting always started the day. Over the years with the DRGs shortening hospital stays, it seems most in-hospital treatment has been replaced by the priority of adjusting medications. This is true particularly in the case of substance use disorder. Maintenance seems to be the priority treatment goal rather than recovery. Because of this shift I no longer wish to work in a hospital setting. Recently I have been involved with the issue of pregnant opiate users by helping to set up a Cuddlers Program in the local birthing unit which has seen continually growing numbers of opiate baby births. Another wonderful solution that I volunteered in was Hope on Haven Hill in Rochester, NH. An OBGYN doctor and her OBGYN nurse opened a home that was licensed for 8 pregnant residents to live in for their pregnancy, birth and until their baby was a year old. The support and education they received gave these women the chance and the ability to start their real recovery and gave them the tools to become mothers with a stronger foundation. At this stage of my life I am hoping to align my experience with initiatives and programs that have the lasting value of working toward true recovery. 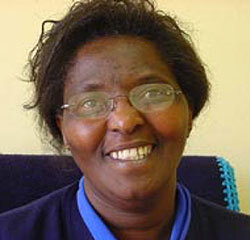 Joyce’s life work has been helping improve the quality of people’s lives. 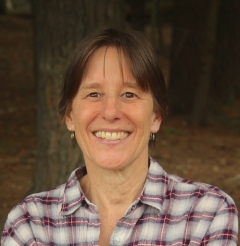 She has done this through work in the nonprofit and for profit sectors; from working with people who have multiple barriers to employment create opportunities to become economically self-sufficient, to owning and operating a general store that was a vital hub of community connection for people in rural Vermont. She enjoys taking projects from conception to completion. She has worked with people who have experienced different types of trauma and who struggle with addiction or mental illness. She is trained in Trauma Informed Care Techniques and the effects of Adverse Childhood Experiences (ACEs). She has successfully helped people make progress through developing a caring support system and assisting them find meaningful engagement in the community. 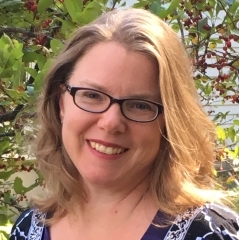 Joyce holds a Bachelor of Art and Business Management degree from Vermont College and a Master’s Degree Certification in Nonprofit Management from Marlboro College Graduate School. Joyce is an avid hiker and enjoys being active in nature. She also enjoys cooking, reading, playing the uke and spending time with good friends. Bob Burch fell in love with glass blowing when he first set his eyes on this process many years ago. It is magical and sensual, touching something deep inside him…as he says, it is a dance and he loves dancing! Yet glass blowing is also demanding and asks one to be focused and observant while working with gravity, centrifugal forces, color and the process of heating and cooling. Before one’s eyes ‘stone’ is transformed into ‘honey’ in a matter of seconds. Glass blowing draws an engaged person away from their physical and emotional pain and as Bob states: “It is a positive thing to love and to become passionate about!” There is an alchemical element to this craft which he shares with a quiet enthusiasm. 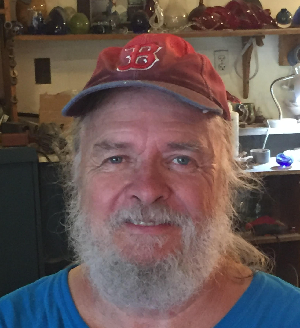 Bob loves the concept of Inner Fire and welcomes the opportunity to kindle the love for and dance of glass blowing in the seekers who are broadening their lives and discovering latent skills. Founder and CEO of Time Equities Inc.
Mr. Greenburger is also the Chairman of Sanford J. Greenburger Associates, Inc., a literary agency, and is the founder and principal benefactor of Omi International Arts Center, established in 1992. Omi is a not-for-profit arts organization with residency programs for international visual artists, writers, translators, musicians, and dancers, as well as year-round arts education program, an experimental architecture lab, and The Fields, a renowned sculpture park located on a 300-acre property in Ghent, New York. Dina Tyler is a psychiatric survivor, trainer, advocate and peer supporter. Dina is the Director of the Bay Area Mandala Project, a group bringing together alternative healing communities to support the transformational and spiritual aspects of extreme states of consciousness. She has seven years experience in community mental health working in early psychosis and bipolar intervention programs around California’s Bay Area, where she trained and supervised peers and family supporters, trained clinical staff on recovery-based language and approaches, and brought compassionate alternative approaches through direct peer support and mentorship. She is a co-founder, facilitator and Board Member of the Bay Area Hearing Voices Network. Dina received her B.A. in Sociology, with a focus on mental health and stigma from UC Berkeley. She was awarded the prestigious Peer Specialist of the Year by the National Council for Behavioral Health in 2015 for her work with young adults recently diagnosed with Schizophrenia. Dina’s interest in Inner Fire comes out of her years seeing the need for alternatives to conventional mental health care, that people should have a choice in their treatment, and supports Inner Fire’s vision to create a place of healing for those who have said “no more” to psychiatric hospitalization and medications. Olivia Stokes Dreier, M.P.A., M.S.W. Olivia Stokes Dreier, M.P.A., M.S.W. is the Executive Director of Karuna Center for Peacebuilding, a nonprofit in Amherst Massachusetts that works with international partners to promote social healing in countries recovering from war. From 2002-2012, she also directed the Conflict Transformation Across Cultures (CONTACT) Graduate Certificate Program at the School for International Training in Brattleboro, VT. Olivia has led programs in peacebuilding, inter-communal dialogue, and reconciliation in over 15 conflict-affected countries, ranging from Africa to South Asia, the Balkans, the Caucuses, and the Middle East. She recently directed a two-year inter-faith reconciliation program with 160 Buddhist, Hindu, Muslim, and Christian religious leaders in a region of Sri Lanka heavily affected by the 27-year civil war. She is currently developing a program in Burundi, Rwanda, and eastern Congo, focused on building the capacity of local groups to break inter-connected cycles of communal and gender-based violence. In her early 20’s, Olivia worked for two years with the Gandhian movement in India on rural development and non-formal education. She spent two years leading artistic therapy programs at Gould Farm, a residential psychiatric community, and then worked for 20 years in community mental health. 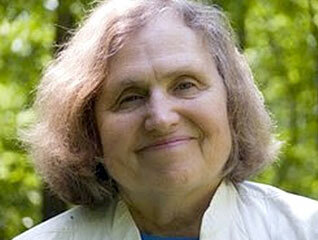 Together with her husband, she also helped start the Hartsbrook Waldorf School in Hadley, MA. Olivia holds a B.A. in Psychology from Yale University, a Masters in Social Work from Smith College, and a Masters in Public Administration from Harvard University’s Kennedy School of Government. Sandy Reider, M.D. graduated from Harvard Medical School in 1971, completed a medical internship at the Medcal Center Hospital of Vermont, and practiced family medicine and emergency medicine in Vermont from 1972-1985. For the past 30 years Dr. Reider has maintained a private medical practice in northern Vermont, with particular emphasis on nutrition, classical homeopathy and anthroposophical treatments. Dr. Reider has been one of Inner Fire’s medical advisors since its inception. Gerhard Bedding emigrated to the U.S. from the Netherlands in 1955, having experienced 5 years of Nazi occupation during WW2. 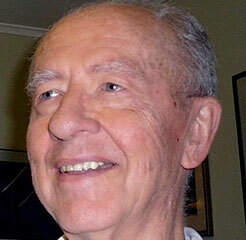 Gerhard is a renowned elementary school Waldorf teacher and tutor. From 1971-75 he edited a science journal for Xerox Education Publications. Gerhardt holds Master’s degrees from the University of Chicago and Wesleyan University. As an activist, he has questioned nuclear power, defended health freedom and alternative medicine, and supported truth and transparency in government. His interest in Inner Fire has its roots in seeing a sister caught in the trap of psychotropic medications, and wondering how her biography might have changed if she had been exposed to a different healing protocol. Thabile Mnisi-Msibi, Ph.D. is the Founder and Director of Mission Society Care (MS Care), a hospice and skill development multi-purpose organization based in Johannesburg South Africa that has sought to provide care, education and a source of hope for people at the margins of society in South Africa. MS Care’s mission is to: Educate underserved communities about the medical and socio-economic implications of HIV/AIDS and methods of prevention; Provide care and training for those suffering from the disease, providing dedicated, in-house care for those in the final weeks of life, and; Welcome AIDS orphans from the community with food, friendship, and afterschool programs. MS Care provides primary healthcare, pre- and post- traumatic stress counselling, HIV/AIDS education, care for abused children and women, palliative care through home and community visits, life skills training, training for caregivers, group support for caregivers, food parcels provision for the needy, projects development for poverty alleviation, and assistance with schoolwork (as well as school uniforms and school fees) for children without family or staying with family members who are illiterate. Dr. Mnisi-Msibi is also a multi–gifted International motivational speaker, best-selling author, radio and television personality, and business consultant. She sees global potential for improvement in mental health through the unique programs and treatment modalities offered by Inner Fire. 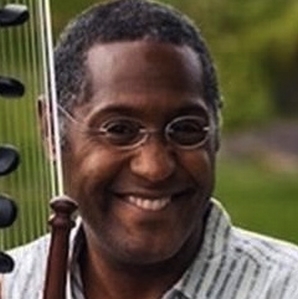 Piers Kaniuka is the Chair of the Department of Integral Psychology at Burlington College in Burlington, Vermont. He has worked for many years in the field of substance abuse treatment, and was a co-founder of Plymouth House, a 12 Step retreat located in Plymouth, New Hampshire. A student of Spiritual Psychology and the contemplative tradition, he is especially interested in how to best utilize wellness practices in the treatment of mental disorders. 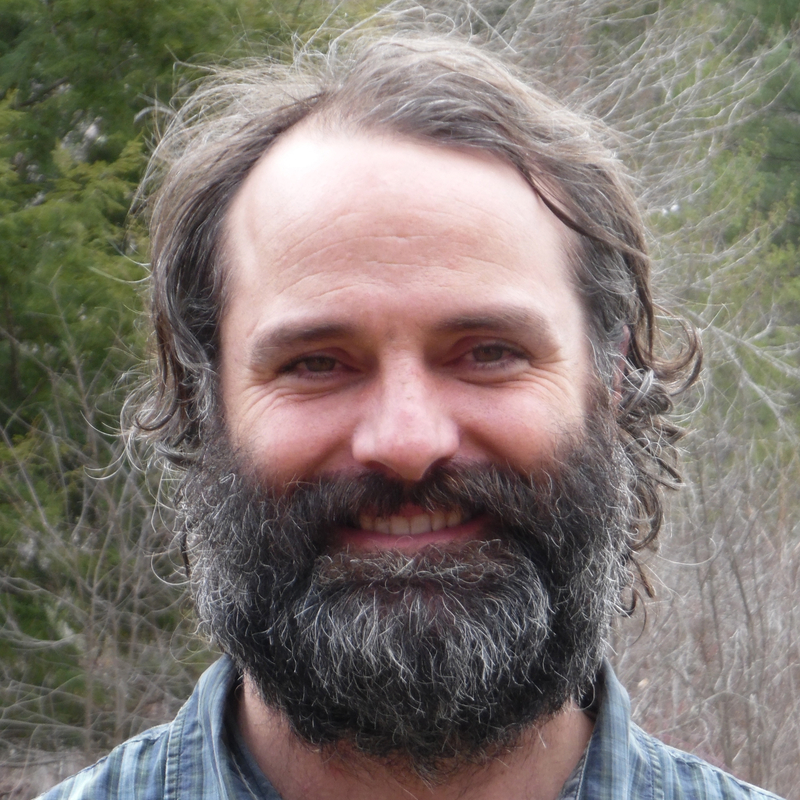 Piers is a certified yoga instructor and leads contemplative retreats at the Alcyon Center on Mount Desert Island in Maine. Mary Ellen Copeland, Ph.D. is nationally and internationally recognized for her work in studying how people recover from mental health challenges. Her focus is on shifting the system of mental health care toward prevention and recovery through education, training, and research. Dr. Copeland is the author of many books, including: The Depression Workbook: A Guide for Living with Depression and Manic Depression, Healing the Trauma of Abuse: A Women’s Workbook, Recovering from Depression: A Workbook for Teens, Living Without Depression and Manic Depression: A Workbook for Maintaining Mood Stability, Fibromyalgia & Chronic Myofascial Pain Syndrome: A Survival Manual, The Loneliness Workbook: A Guide to Developing and Maintaining Lasting Connections, The Worry Control Workbook, Winning Against Relapse: A Workbook of Action Plans for Recurring Health and Emotional Problems, and is the creator of the renowned Wellness Recovery Action Plan (WRAP). Dr. Copeland can be reached at maryellencopeland@mentalhealthrecovery.com. Her website is: mentalhealthrecovery.com. Marc Clifton is a software developer specializing in web development and the Microsoft technology stack for server and desktop applications. He has worked in technologies as diverse as voter registration, satellite design automation, boat yard management, and insurance services. He also develops custom IoT applications in *nix using C, C++, and Python. 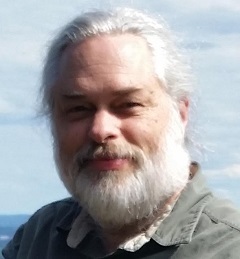 He loves technical writing, having published several e-books through SyncFusion and over 200 articles on The Code Project, and is a past recipient of the Microsoft Most Valuable Professional award as well as current Code Project MVP. Marc helps to maintain the Inner Fire website as a pro bono gift to the Inner Fire community as he firmly believes that the integrative therapies that Inner Fire offers are absolutely vital to achieve long term healing and recovery from addiction and trauma. David Dunn is a partner in Phillips, Dunn, Shriver & Carroll, P.C. in Brattleboro, Vermont, concentrating in corporate, banking, and business law. 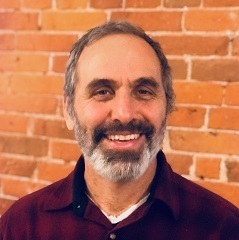 He represents several non-profits in Windham County and has been on the boards of many others, including the Brattleboro Retreat, Winston Prouty Center for Child and Family Development, Youth Services, New England Youth Theater, Brattleboro Habitat for Humanity, and Windham County United Way. 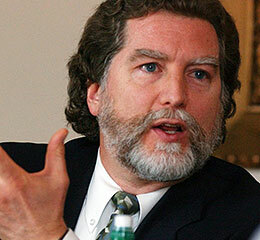 He graduated from Cornell University then attended Vermont Law School, graduating in 1981 with a J.D. and a Masters in Environmental Law. He practiced for six years in Washington, D.C. followed by seven years in Boston before returning to Vermont in 1995. Since that time he has practiced with the same firm in Brattleboro while raising two children. David’s interest in Inner Fire began when he was approached by Beatrice to provide legal services to the non-profit. He has always been a supporter of increased funding and awareness of mental issues and finding the best method for addressing the debilitating effects of addiction and related co-morbidity, and was (and continues to be) intrigued and supportive of Inner Fire’s unique way of addressing and resolving issues on an individualized basis that leads to a life-long cure.